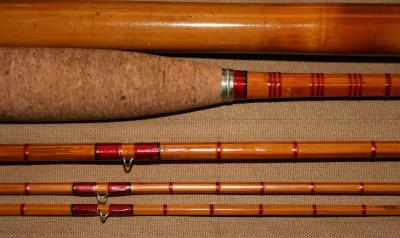 Here's one for the collection that will hardly ever be seen again. 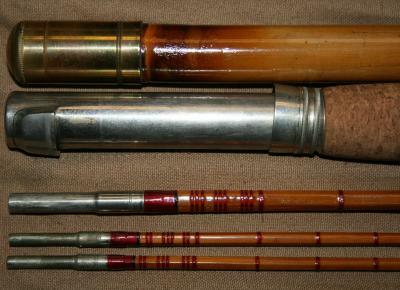 A very rare, circa 1902 F.E. 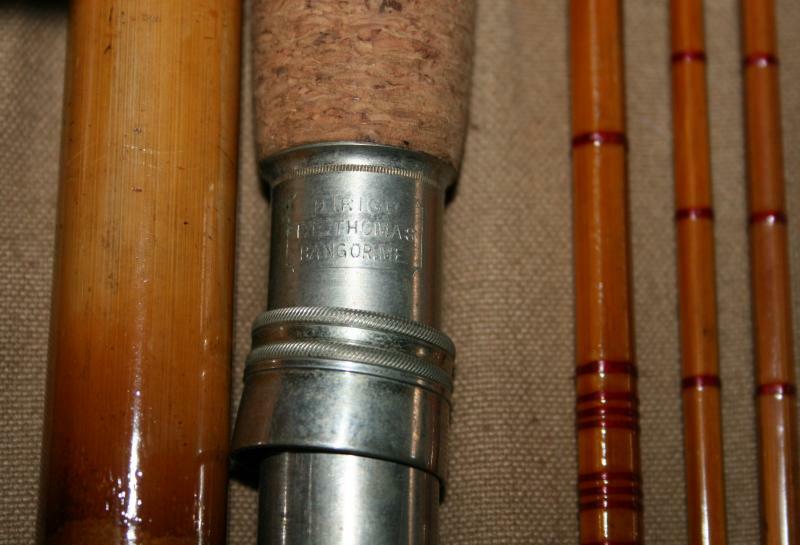 Thomas Dirigo 8'6" rod in near Mint condition, made by Fred Thomas himself! Other than a few tiny chips in the finish, this aprox 116 year old rod is just as it would have been coming from Master Fred Thomas' shop when he moved from Brewer to Bangor in 1902. 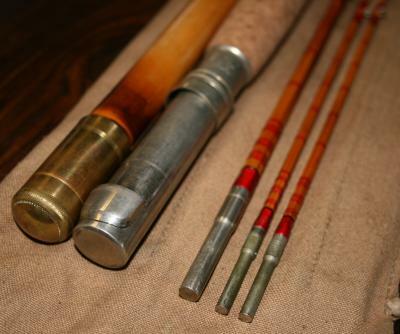 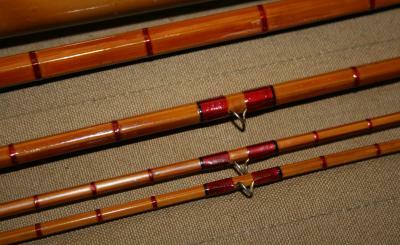 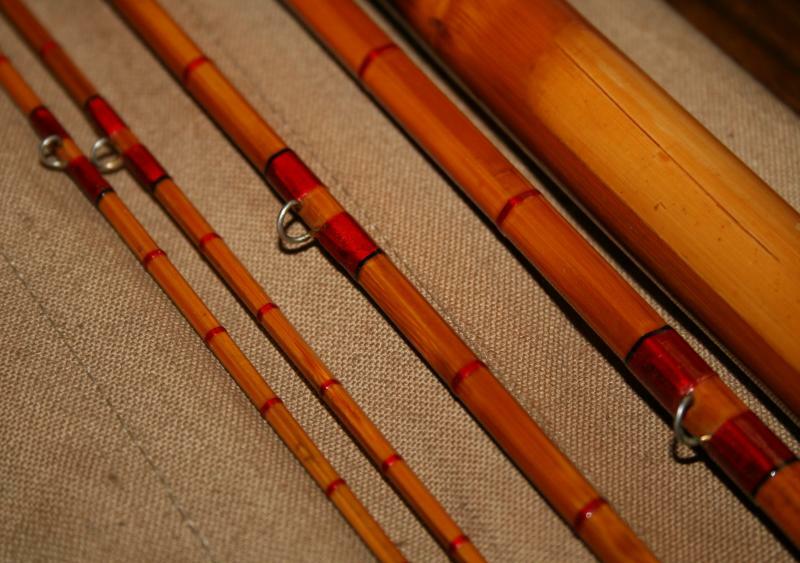 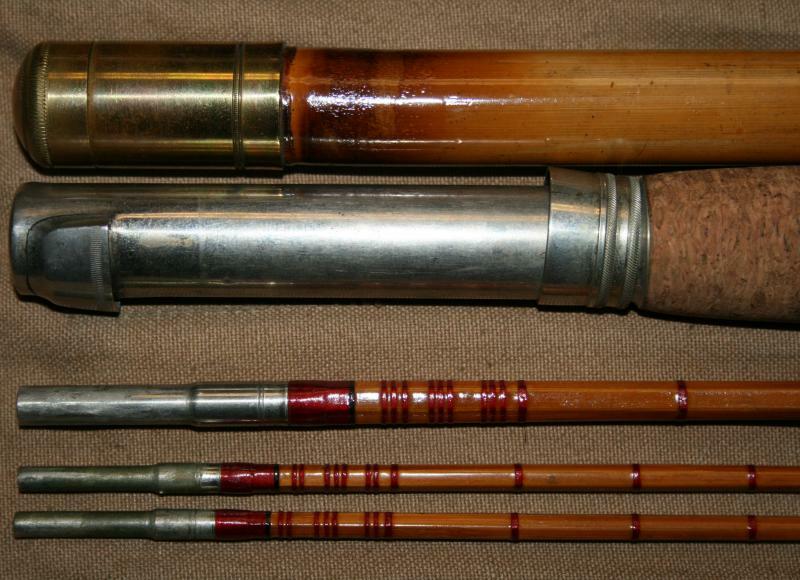 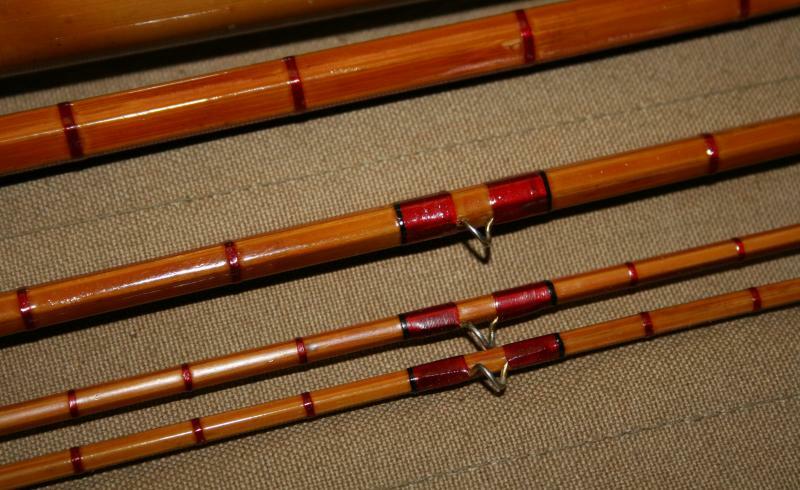 This rod has all the hallmarks of the earliest Brewer marked rods, like the sheet cork wrapped grip, all Nickel Silver snake guides and tip tops, full Nickel slide band seat, Red silk wraps tipped with Black. 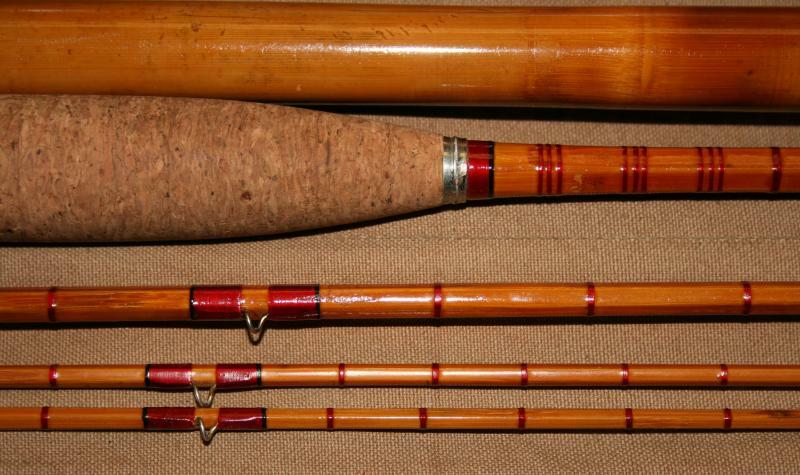 The Dirigo was the only model Fred made at this time, and they were all his very best work. This rod has some of the finest tips you will ever see. 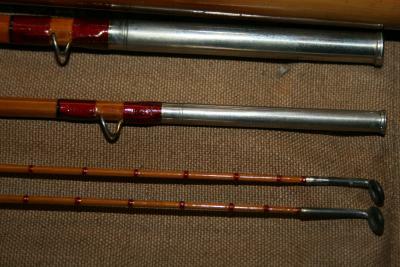 All full length and straight, this rod still has the original bamboo tip tube and mint condition canvas sack. 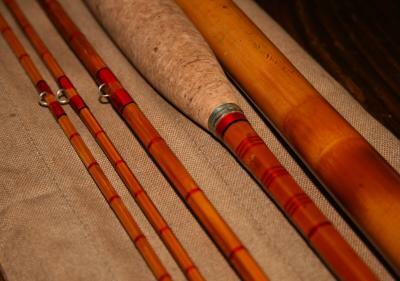 Don't miss out on a chance to own a piece of history from the founder of the Thomas shop!